The recent Ebola virus disease outbreak in West Africa has been a terrible reminder of the necessities of rapid evaluation and response to emerging infectious disease threats. For such response to be fully informed, complex epidemiological data including dates of symptom onsets, locations of the cases, hospitalisation, and contact tracing information have to be analysed in near real time. Unfortunately, some of the tools required to bridge the gap between data collection in regional offices and advanced statistical modelling are still lacking. Hackout 3 will aim to reduce this gap by bringing together field epidemiologists, decision makers, modellers and computer scientists to create free, open-source resources for the real-time monitoring of disease outbreaks. While new developments will largely build upon recent progresses for epidemics analysis using the R software, other technologies will also be considered, including existing tools for data collection (e.g. EpiInfo VHF), graph databases (Neo4j) and interactive, web-based graphs (e.g. htmlwidgets, shiny, google charts). We are assembling an exciting team of people interested in developing the next generation of tools for outbreak response, including modellers, statisticians, developers and public health workers. Note: this list will be growing over the next few days as participants are being confirmed. The event should involve 30-40 people in total. • We want to: create the next generation of free, open-source tools for disease outbreak response. • We aim to: maximize diversity in skills, experiences, and people. • Applications closed on the 15th April 2016. 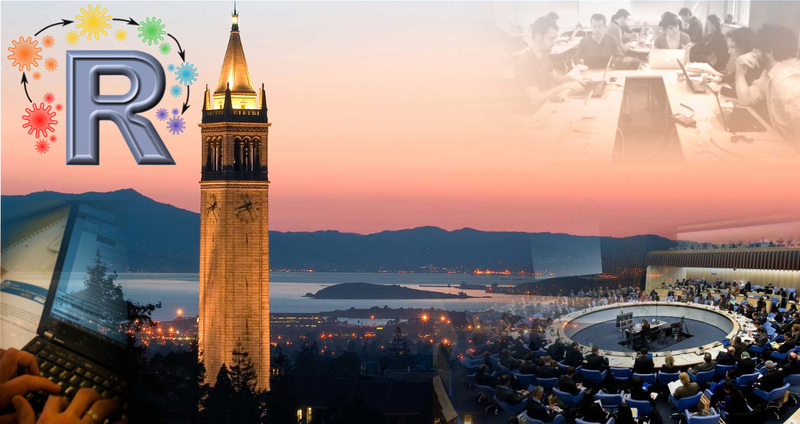 Funded participants will be hosted at the DoubleTree Hilton Hotel in the Marina, Berkeley. The hotel is about 10-15 min by taxi to the venue. Hackout 3 will be a five-days event, including a first day of brainstorming, leaving most of the rest of the time for developing tools, discussing methods, and testing new approaches. The Wednesday afternoon will be free, with possibility of a group hike for participants interested in seeing a bit of the nature surrounding Berkeley. Every day will start with breakfast at 9-10am and finish at 6pm. Lunch will be served around 12:30. We are extremely grateful to our sponsors for this third instance of Hackout. If you would like to sponsor Hackout 3, please contact us via email. Contact Thibaut Jombart for more information about the event. This page is hosted on github. Comments and suggestions are welcome as issues or pull requests.